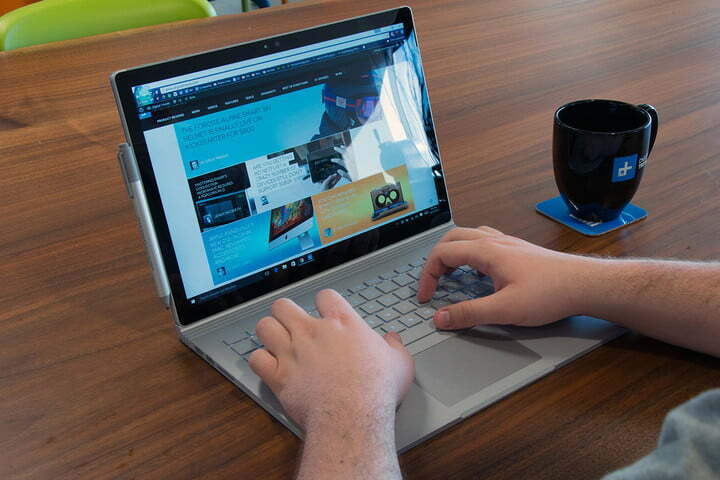 Ultrabooks occupy that sweet spot between heavier, more awkward laptops and flimsier, less powerful tablets. Judging from the latest and greatest entries in the market, they aren’t going anywhere, either. These ultrabooks are more powerful, capacious, and feature-rich than ever before – take a look at the best, and you’ll see what we mean. You may have seen the XPS 13 pop up on some of our other lists, too – this is simply one of the best ultrabooks that has been brought to market. 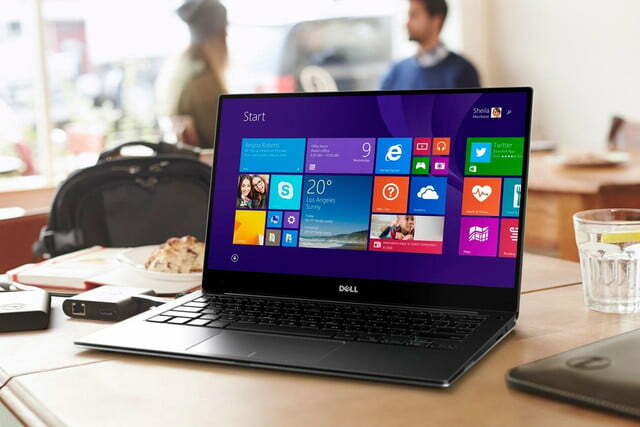 It comes equipped with a 13-inch screen using Dell’s slim InfinityEdge border, plus an optional 3,200 x 1,800 touchscreen. Bonuses to the 2016 version include an even brighter screen, a more robust battery, and a new USB-C port with Thunderbolt 3 to keep up on all the latest laptop demands. On the inside, you have options up to a 6th generation Intel Core i7 processor, 8 GB of RAM, and up to 1TB of SSD storage. You can also choose to improve the integrated graphics chip if you prefer, but only if you select the Core i7, which has Intel HD 540 graphics. Ports are not customizable, but come with a very solid set of USB 3.0 ports, a 2-in-1 card reader, DisplayPort, Thunderbolt, and more. There is no HDMI or Ethernet port, however, so you’ll need an adapter for those connections. 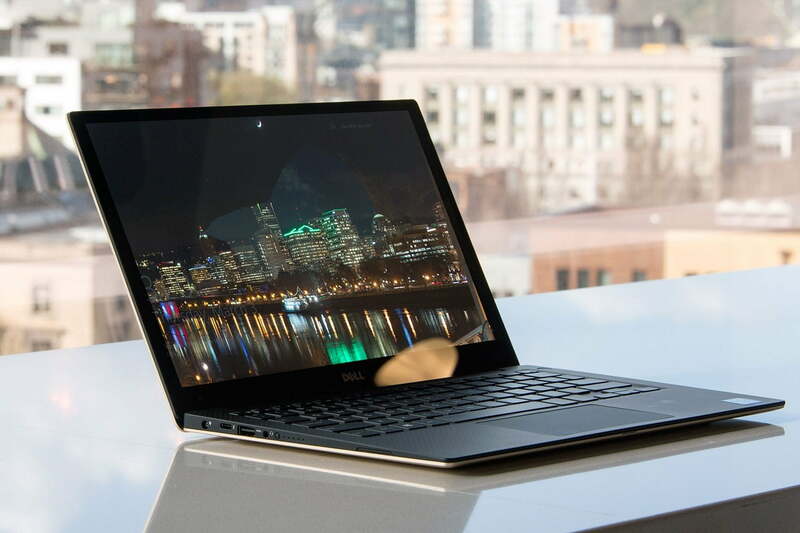 With these high-end configuration options, prices can quickly go north of $1,500, which doesn’t make the XPS 13 very budget-friendly. However, the basic model is priced at $800, so there are more budget-friendly options if you are willing to tinker or settle for less. Read our full review. 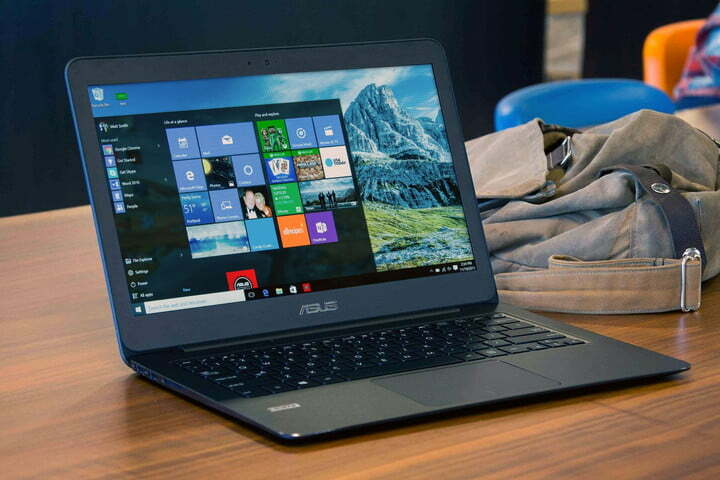 The Zenbook has been a popular super-light laptop choice for years, andAsus is only making these portable machines better with time.The current crop is especially good, as exemplified by the UX305UA, which is closer than ever to the XPS throne. Top specs for this 13-inch laptop include a 6th gen Intel Core i5 processor, up to 8 GB of RAM, and up to 512GB in an SSD. These specs are particularly useful if you prefer to treat your ultrabook model more like a traditional laptop, which requires a bit more space and speed, neither of which will be a problem here. The screen is also worth calling attention to here, with its anti-glare coating that makes use in bright rooms easier. However, the display is regular HD, with no ultra HD resolution option available. Ports for the model include two USB 3 ports, one USB 2.0 port, and one microHDMI, but not USB type C ports. Battery life is a bit shorter than our top XPS pick at around 12 hours instead of around 15, so Asus still has some catching up to do there, but overall this is a fantastic work or school model. Read our full review. One of the drawbacks of our first Zenbook model was that it didn’t have an option for a resolution higher than full HD or for a touchscreen model. The UX305CA, however, does. And it’s thinner and lighter than the UX305UA. On screens this small it’s important to note that the effects of ultra HD resolutions are likely to be minimal, but they can still make a difference when it comes to graphic design work, professional photography, or, we suppose, watching movies very, very closely. For these purposes the 3200 x 1800 touchscreen display is equal to the higher-end versions of the XPS 13 and will give you all the image quality you need. The trade-off, compared to the UX305UA, is power. The CA has a 6th-gen Intel Core MX-6Y30 processor, which is (much) slower than the Core i5 in the UA. Other hardware specs include up to 512GB of SSD storage and 8GB of RAM. Ports include three USB 3.0 connections, microHDMI, and a micro SDXC card reader. The downside here is that the bright, high-res screen is a drain on battery life, which only lasts around 8 to 10 hours. Read our full review. Okay, maybe you like the idea of a travel-ready laptop, but these ultraportable models are leaving you cold – you want something bigger, more powerful, and closer to a traditional laptop: The Samsung Notebook 9 may be just what you need. 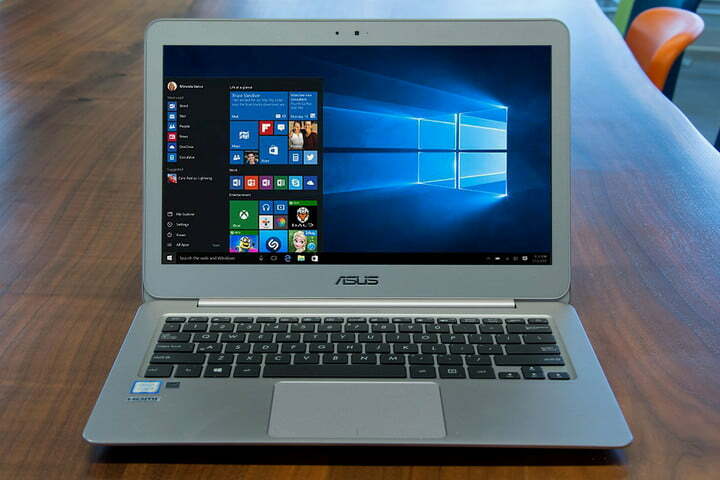 This laptop comes in a 15-inch variant for extra screen size (plus options for both ultra HD and traditional HD), and a 2.5GHz Intel Core i7 processor (with 3.1GHz turbo boost). Storage is set at 256GB, system memory is set at 8GB, and you may be seeing that the key phrase here is “set at.” There’s not as much room for customization with the Notebook 9 as there is with our other models. The screen size and resolution are the primary customization options. On one hand that makes decisions easier, but on the other hand if you want more built-in storage or speed, you’re out of luck. 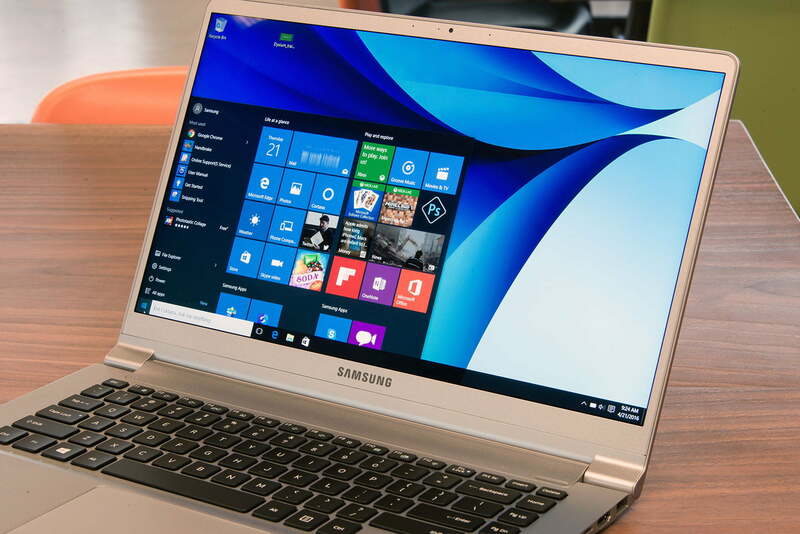 Despite its large screen, the Samsung Notebook 9 15-inch is extremely thin and light. It weighs just three pounds and is about sixth-tenths of an inch thick. Both numbers are just a fraction above the Dell XPS 13 or the Asus UX305UA, despite the smaller screens on those notebooks. Read our full review. 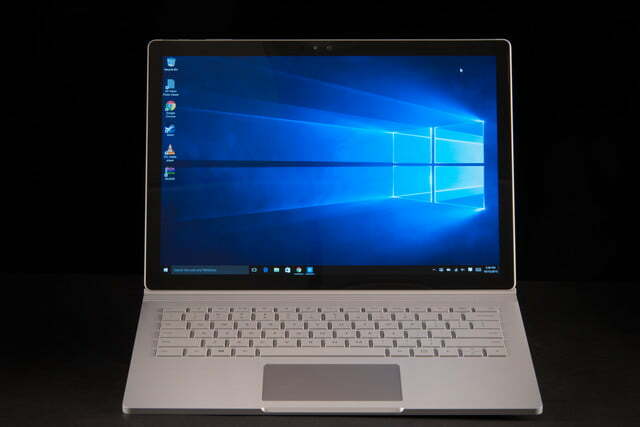 It’s easonable to expect a lot from the Microsoft Surface Book – and yes, the Book does deliver. If you have always liked the idea of the Surface Pro line, but been scared off by the idea of a hybrid tablet, then you’re exactly why Microsoft created the Book. Almost everything about the Surface Book is on the high-end of what ultrabooks can do, handily surpassing most models on the market. The display is a 13.5-inch, 3,000 x 2,000 touchscreen. The processor is a 6th gen Intel Core i5 or i7, with RAM options up to 16GB. SSD storage can go up to a whopping 1TB of data, and the battery lasts for up to 12 hours, though we found it manages about half that in the real world. Ports include two USB 3.0 ports, an SD card reader, Surface Connect for charging, and mini-DisplayPort. There are also more unique extras like a TPM chip for enterprise security, an included Surface Pen, and more. In other words, when it comes to a professional laptop, the Surface Book offers exemplary specs. 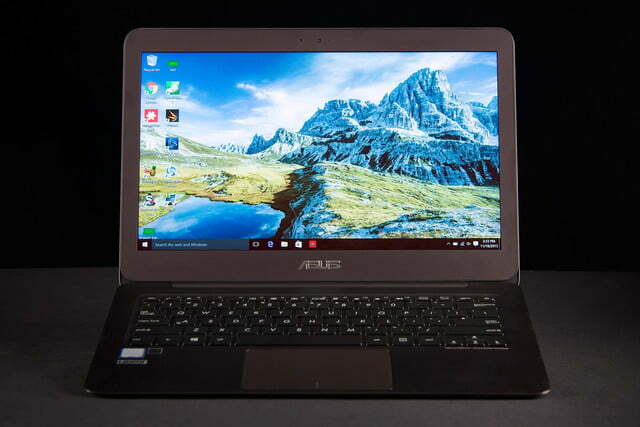 But specs are only one part of the ultrabook story. Remember that the Book is new and relatively untested in the real world, so it can be difficult to foresee every flaw. Also keep in mind that these specs launch the Book into the stratosphere when it comes to MSRP – prices start at $1,500 and go beyond $3,000 for the best models. Read our full review.